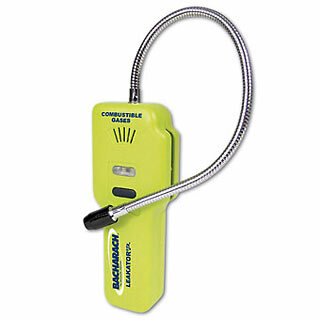 Measuring only 6 inches in length with a 12-inch flexible probe, Bacharach's Leakator Jr. is a low maintenance, easy-to-use portable combustible gas leak detector that is capable of pinpointing large and small leaks quickly with absolutely no calibration required. The Leakator Jr. is ideal for pinpointing combustible gas leaks; testing appliances in commercial, residential, and industrial applications; surveying gas pipelines; and inspecting valves, regulators, and meters on gas equipment. 179 TruReward$ points will be placed in your account when you buy this item.